Based in West Bromwich, we provide professional textile pest control services across Birmingham, Sandwell, and Walsall. 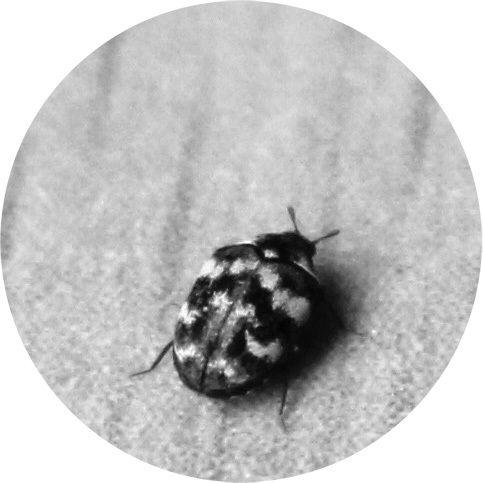 The carpet beetle is prevalent throughout the year in the UK. By coming into your home or business premises the presence of their larvae can result in wooden floor or carpet infestations. They also infest and feed on furniture and clothing. Typically they spread from birds nests into their preferred warm environments through the eaves in roof spaces. This can lead to infestations in lofts and bedrooms. What you may have believed to be house beetles seen in late summer or autumn could possibly be the female carpet beetle. Generally they enter houses at this time, after mating, often laying their eggs in roof spaces so their life cycle starts again in your home. Treatments can be effective for up to a year. This may involve the injecting of powder into cracks and crevices, which is ingested by the carpet beetles. If appropriate, solutions can also involve removing the source of the problem and exposing it to extreme heat or freezing. If untreated, carpet beetles are resilient pests and collectively every year they cause damage to natural fibres in homes and major businesses which runs into millions of pounds worldwide.